Performance mainly down to Mars and Adidas wins for MediaCom and $2bn GSK account for Publicis. 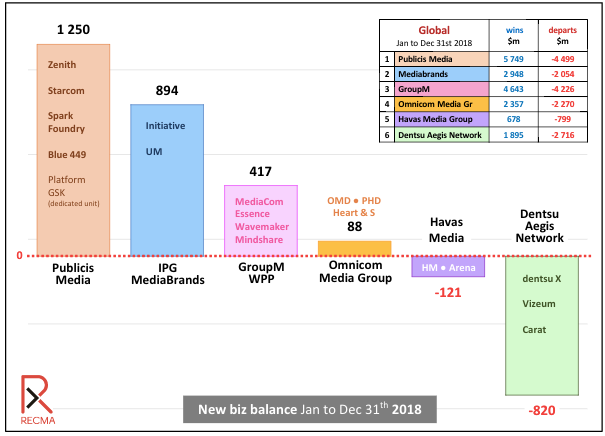 WPP’s biggest media agency topped the list in Recma’s New Biz Balance report after posting a balance of $1.49bn (£1.16bn), which was achieved after winning $2.76bn in new business and losing $1.27bn. 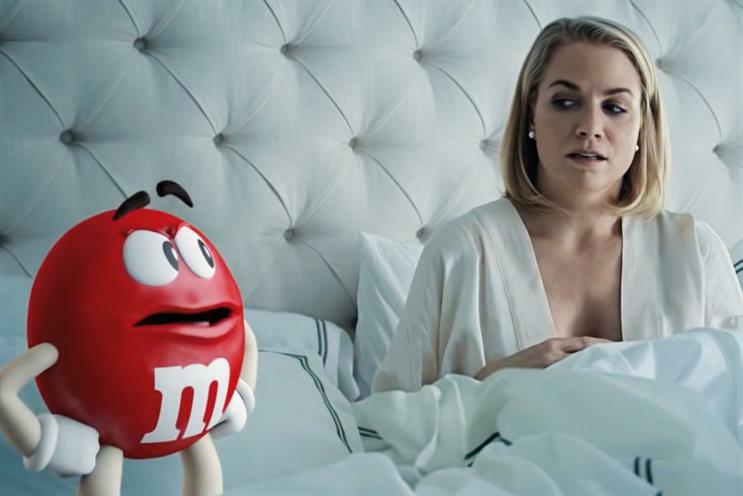 MediaCom’s biggest account wins last year were Mars ($1.8bn), which was consolidated into one agency after buying was previously shared with Omnicom and Publicis Groupe, and Adidas ($300m). Globally, MediaCom also retained the Shell business after a competitive pitch, along with Sky in the UK. The agency also retained $1.52bn in accounts that went to pitch last year, but this number does not affect the Recma rankings. Publicis Groupe’s Spark Foundry was a distant second in the agency league, with a $692m net balance, while OMD was third with $508m. The worst performer in 2018 was Dentsu Aegis Network’s Carat, which registered a negative balance of $1.12bn. 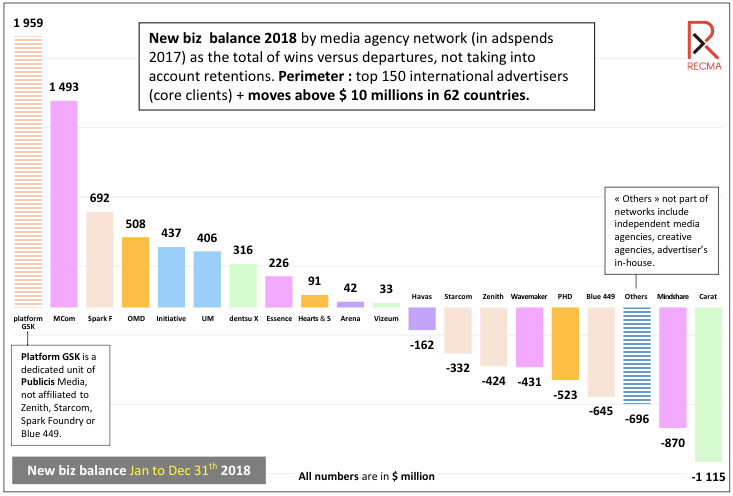 In contrast to 2017, when it was the best-performing network, Dentsu Aegis Network's new-business balance came in at -$820m last year, with small positive balances for Dentsu X ($316m) and Vizeum ($33m) dwarfed by Carat’s negative figure. Publicis finished top of the networks with a balance of $1,25bn, thanks to its dedicated unit for GlaxoSmithKline, Platform GSK, which brought in $2bn in media billings alone. Without GSK, Publicis would have recorded a negative balance. Apart from Spark Foundry, all of Publicis’ media shops lost more in new-business billings than they gained, including Blue 499 (-$645m), Zenith (-$424m) and Starcom (-$332).